"Welcome to our list of what we rate as the top 50 cars in Britain." The rules for inclusion are very simple insofar as there are no rules. We didn’t divide the cars into categories or price points or make sure that every major manufacturer was represented. Instead, we wrote down every possible candidate based simply on the cars that the senior editorial staff and road test team liked most, and we’ll say now that if this had been a list of our top 87 cars, we’d have saved ourselves a whole lot of time and effort. The list of 87 cars was narrowed down to 50 by internal debate and discussion. Then, each member of the Autocar staff named their "individual top fives to find the cars that would take part in our final shootout and placed the remaining 45 in order of preference." The top 5 were driven by for 2 days to find the overall winner and to place the remaining 4 in their proper position. 3 plug-in vehicles made the "Top 50" cut and one made it into the "Top 5." Game-changing supercars? Merc 300SL Gullwing, Lambo Miura, Ferrari F40, McLaren F1 — and BMW i8. Not the fastest, but the most significant of its era. Perhaps the only car on this list here more for what it is than what it does. It is the car that made an all-electric future finally seem palatable. You know your car as well as you know your home. Maybe better. The fundamental functions of both are so familiar that you don’t have to think about how they work; were it not dangerous to do so, you could operate either blindfold. You take them entirely for granted, as you do the water in your tap, the light in your bulbs and the shoes on your feet. But the BMW i3 is not like this. I’ve been driving i3s on and off for more than a year and the novelty shows no sign of wearing off. Every time I get in one, it feels different, interesting and special. I could name cars costing three times as much that don’t have this going for them on first acquaintance, let alone thousands of miles down the line. 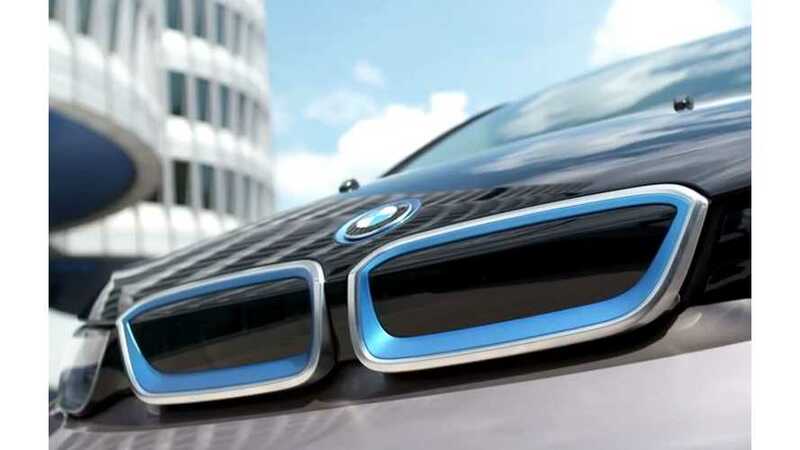 The i3 doesn’t look like any other car, not just because BMW thought that it had better confer some funky post-modern style upon it to appeal to the bright, young and environmentally unimpeachable citizens at whom it is aimed, but also because it really isn’t like any other car. It doesn’t feel like one and it doesn’t drive like one, either. Remarkably, then, it still manages to feel and drive like a BMW, or how you’d like a BMW to feel and drive. It’s taut, precise, at times comically responsive and, yes, fun. Fun in a way that no all-electric family car has ever been fun. Not even a Tesla Model S.
Visions of the future that leap the fence and land in the present are often fatally flawed. But although the i3 misses perfection by a reassuringly wide margin, it’s sufficiently honed that when our all-electric future becomes our all-electric present, it will be seen to have played the Boeing 707 to the Nissan Leaf’s spectacularly brave de Havilland Comet. This is the electric family car that you’d buy for reasons other that it being electric. You’d buy it for its oddball shape, or its fascinating and gorgeous interior. You’d buy it because it’s fun to drive, too. And then, yes, there’s the refinement, the negligible running costs, the immense torque and, if you buy the Range Extender version (which you should), the reassurance that you will never run out of joules. If it has a problem, it is that it is really is too good; it’s a suburban commuter car that you’d like to drive to the south of France. But you can’t, not unless you fancy stopping every 60-70 miles to fill its tiny fuel tank once the batteries have run dry. With a tank containing, say, 25 litres instead of a mere nine, it could have won this contest outright. It’s a Golf. How could we? It’s like having the world’s greatest haute couturiers at your feet and asking if anyone has seen the Boden catalogue. But you can see our thinking. We like good cars and we like quick cars. The Golf is good and the R is quick; QED, we have our winner. Hit up the link below to see the entire "Top 50" list.